Prototype: German Federal Railroad (DB) class V 36. Version with a cupola for switching work. 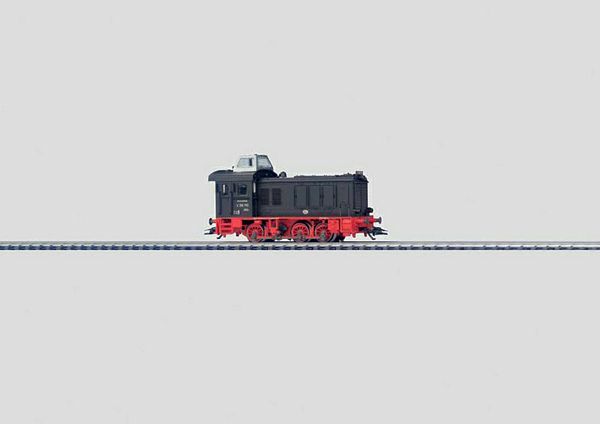 Model: The locomotive comes with a digital decoder and high-efficiency propulsion. 3 axles powered. 2 traction tires. The hood for the motor has a road number board. Numerous separately applied handrails and grab irons. The headlights will work in conventional operation and can be controlled digitally. The acceleration and braking delay can be controlled digitally with the 6021 Control Unit. Length over the buffers 10.6 cm / 4-3/16.